Whoa... Try middle clicking a tile in direct mode. 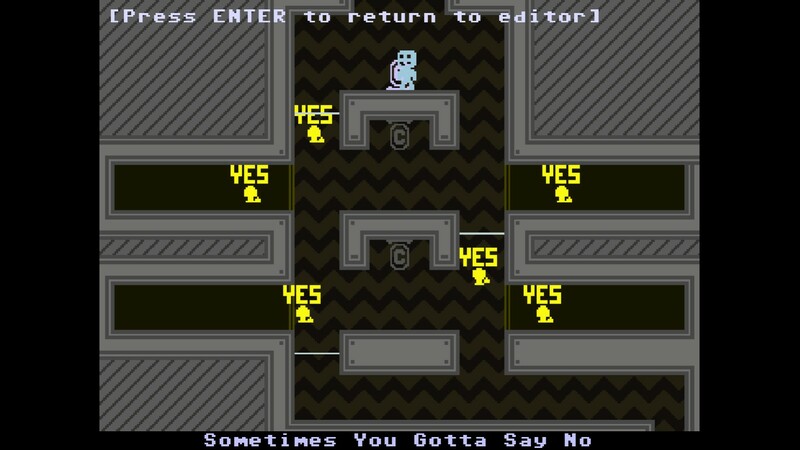 As some people might know, you can spawn in larger enemies such as The Yes Men or LIES by using the internal command createentity(x,y,1,direction,speed) in the sane room that the enemies appear in-game. Anyways, I've put together a map with all of the locations of these enemies. You may have to zoom in to read it, sorry about that. EDIT: Colors on the map are the same as in-game, as they are not changeable. Nice job. This'll be pretty helpful. Good map! It's pretty useful. 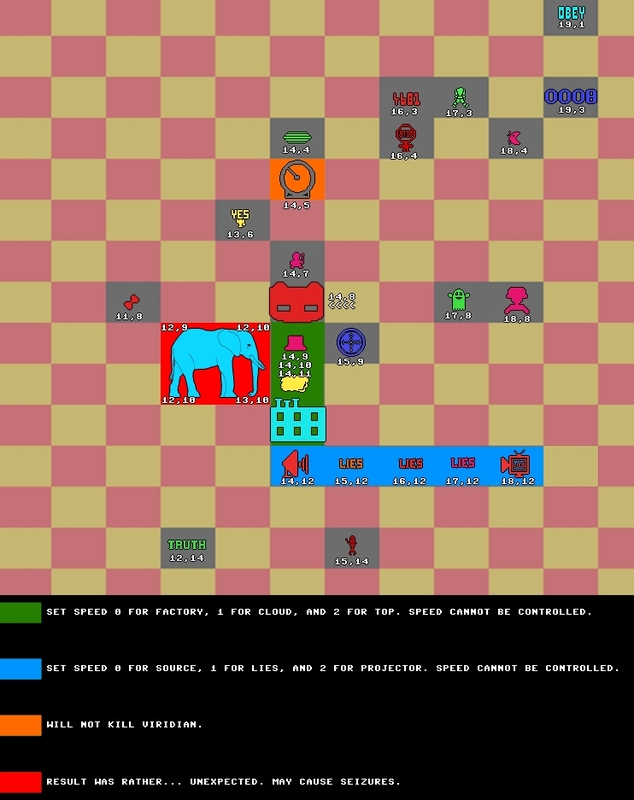 However, I experimented a bit and found that all 10 types of enemies you can place directly onto the level can be placed with createentity(x,y,1,direction,speed) as well by creating them on their corresponding rooms. This may be useless, but it could complete your map as well. 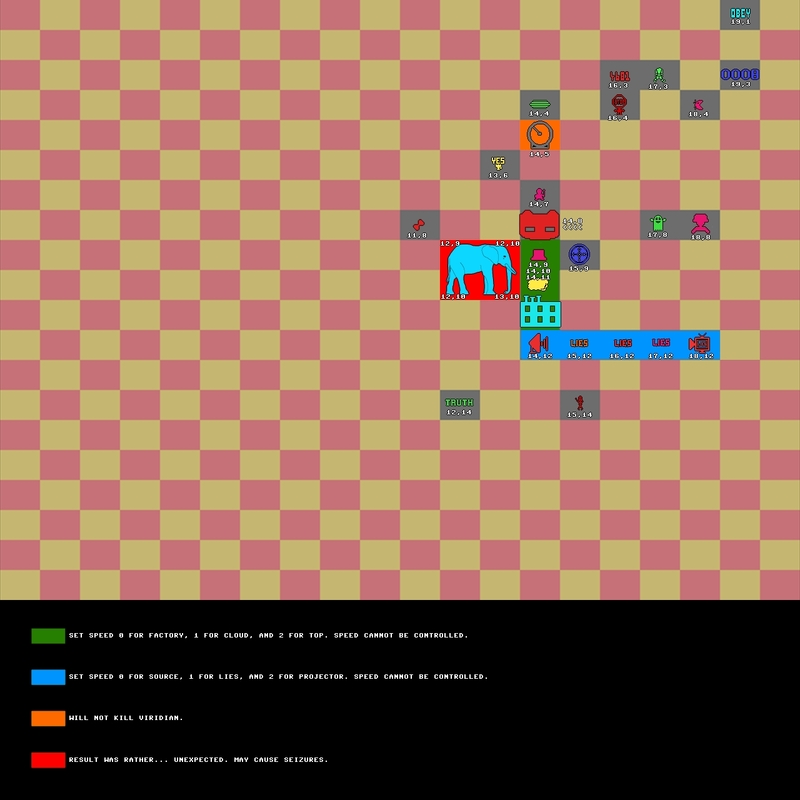 I have created a printable VVVVVV level planning sheet (http://distractionware.com/forum/index.php?topic=3107.0) with all the enemies of your map, plus the ones that I discovered this way. Hot damn, Colon. You rock! This will be really useful, thanks. Does anyone know how big each of these "special" enemies are? Tried searching for it, couldn't find this information. oh yeah, i forgot. but whaat if you use finalmode and then a delay then createentity?